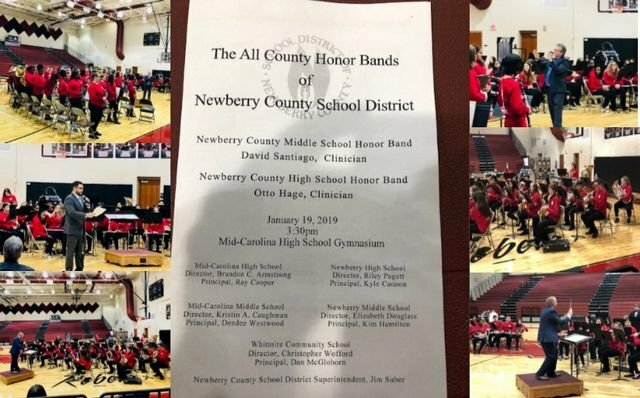 The Newberry All-County Honor Bands Performance took place on Saturday, January 19th, at 3:30 p.m. in the MCHS Gymnasium. Students participating in this band are from all of the middle and high schools of the district. They all went through an audition process in December and from that, formed two bands, one middle school and one high school.